The new FlashBender 2 XL Pro Lighting System is a multi-functional light-modifying tool that attaches to a flashgun. The kit includes the FlashBender 2 XL Pro reflector – the largest reflector available – a softbox diffuser attachment for softening the light, and a strip-grid attachment (strip diffusion panel and fabric grid) for directional concentration of the light. The reflector itself measures 254 x 280mm, and thanks to some malleable rods inside the reflector it can be sculpted to form a variety of shapes, including snoots and barn doors. 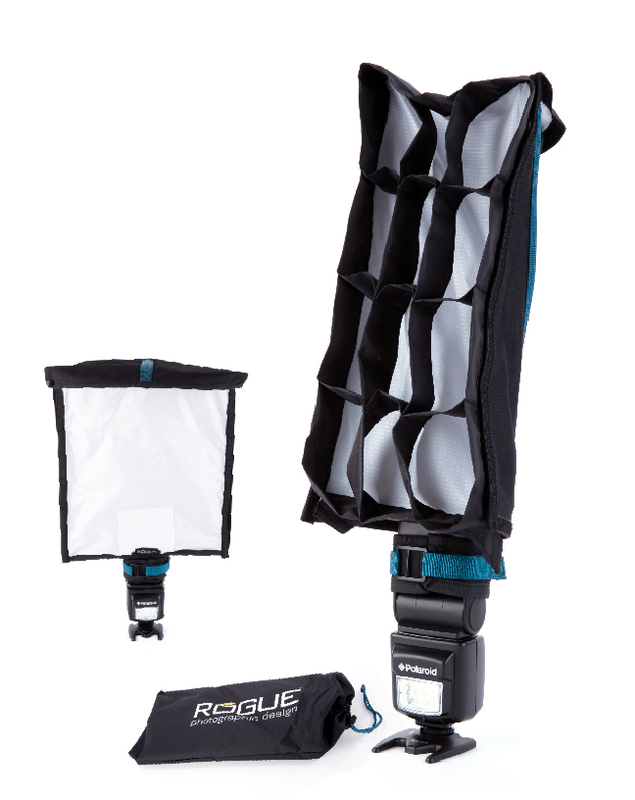 As all the kit parts are independent of each other, the Rogue FlashBender 2 XL Pro Lighting System can be packed up to a very small size. It can easily be transported on location and it fits perfectly into a 15in laptop compartment of a camera bag. If you’re looking for a light modifier to use in a host of situations on location, you can’t really get better than the Rogue FlashBender 2 XL Pro Lighting System. While the quality and spread of light isn’t as good as a purpose-built softbox, the trade-off is very slight when you consider just how much you can do with the kit. Whether it involves using the softbox attachment and grid to softly light a portrait, sculpting a snoot from the reflector to shoot a product from above, or adding a little fill-light, the results are really impressive. The ability to adapt to each situation is the Rogue Kit’s strong point, and if you’re into shooting different things with off-camera flash then the FlashBender 2 XL Pro Lighting System is a brilliant accessory. The diffusion panel for the softbox attaches to the reflector with a Velcro fastening, making it easy to switch between soft and hard light. The set-up fits a wide range of flash units via an adjustable belt-and-buckle attachment. A durable fabric bag is included with the FlashBender 2, which houses all elements of the kit for easy transportation. 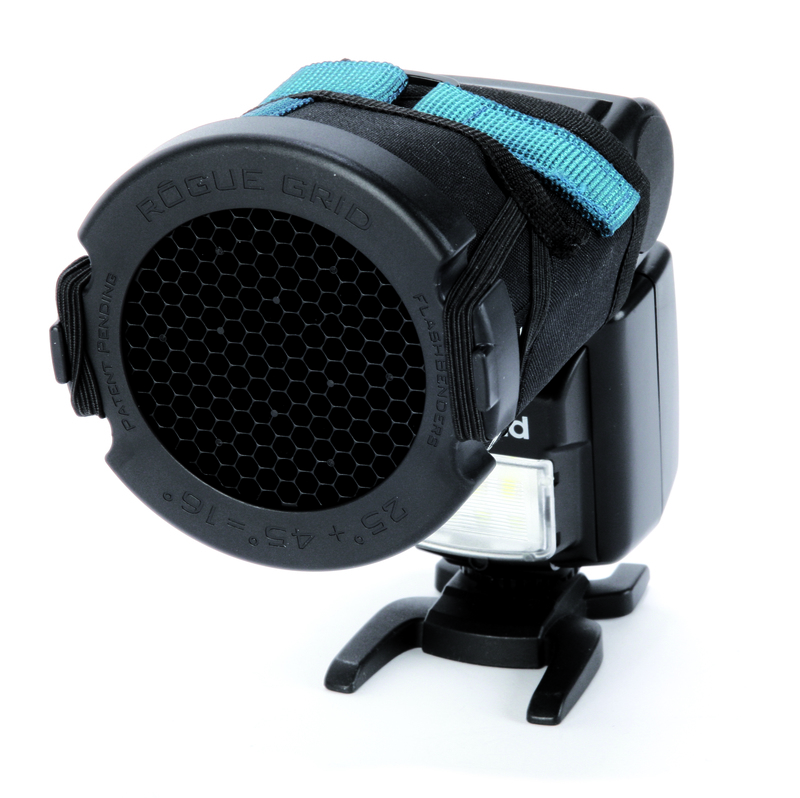 By rolling the reflector into a tube, the 3-in-1-grid attachment can be added to the FlashBender 2 kit, which allows a very precise spotlight. It’s perfect for hair and rim-lighting a portrait. 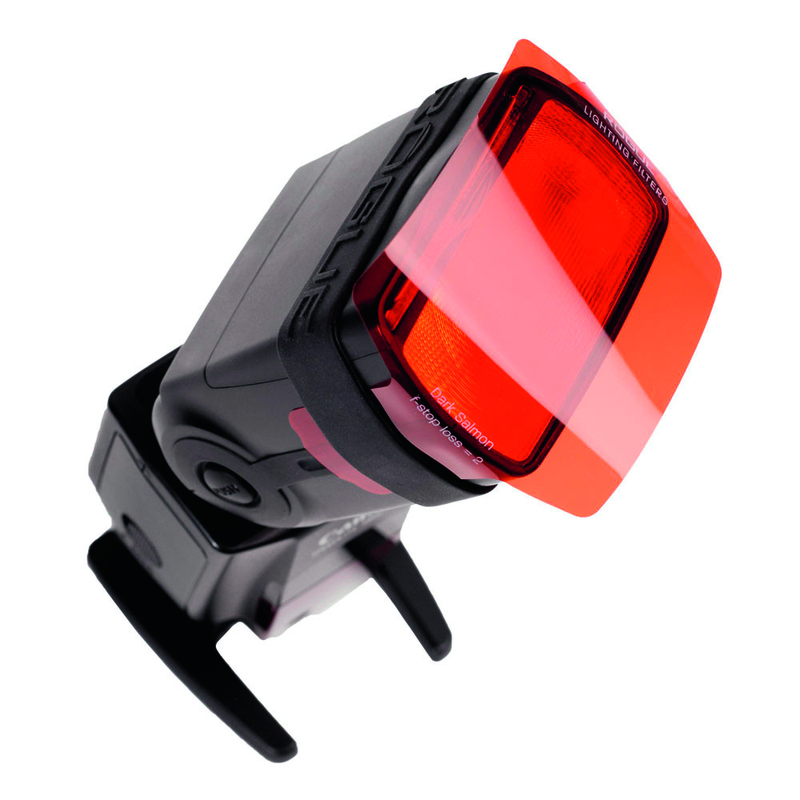 These flash gels attach to a flashgun to give users coloured light. Rogue makes an impressive collection that comes with a handy carry case. As well as the universal kit with a host of different-coloured gels, Rogue also sells gels that correct white balance.